Bishop (Lucas Bishop) is a fictional comic book superhero, appearing in books published by Marvel Comics, in particular the X-Men family of books. 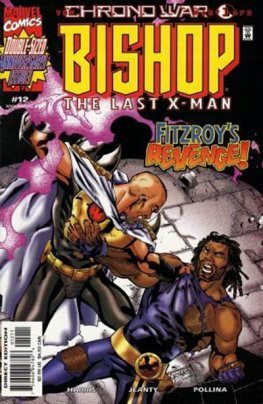 Bishop was a member of Xavier's Security Enforcers (initially called the Xavier School Enforcers), a mutant police force from a dystopian future of the Marvel Universe. He traveled to the 20th century and joined the X-Men, a team he knew only as legends. A brash antihero, he had difficulty adjusting to the norms of the time period. 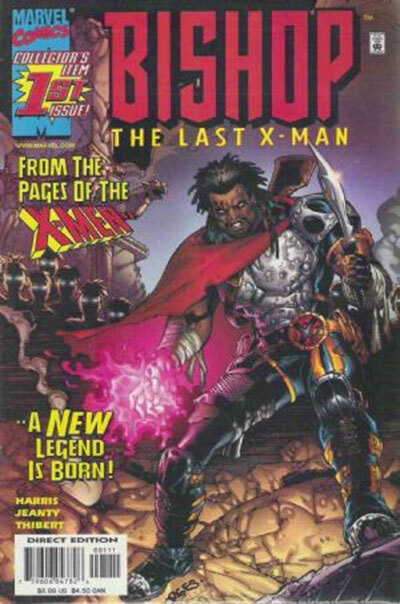 After a decade and a half of acting as a member of the team, Bishop was instead portrayed as one of the X-Men's main antagonists. 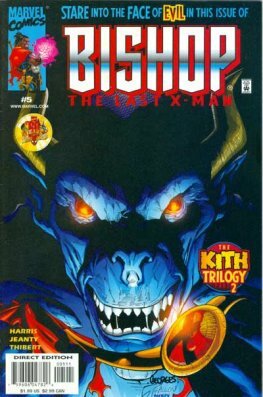 Bishop made frequent appearances in the X-Men animated series of the 1990s. Bishop is portrayed by Omar Sy in the 2014 film X-Men: Days of Future Past.